Delta's website is currently showing Montreal - Cancun, Mexico (CUN) flights in business class for $459 CAD roundtrip including taxes. It's possibly an error, as this is the same price as economy class! So this may not last very long at all. Many dates between Dec 2015 and March 2016. 3. Select your flights, and click through to the Delta website to complete the booking. It's a little hard to read, but the screenshot shows First / Business under the red marks. Note: If you see the price change from $459 to $1050 that date combination may have sold out. Try slightly different dates. Dates around Christmas will definitely sell out fast. 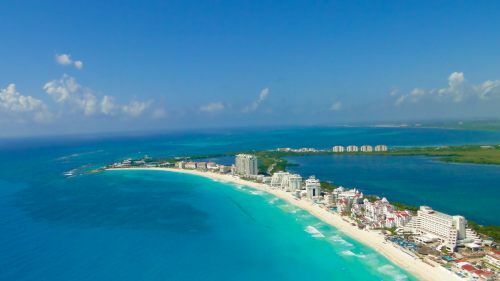 The following AirBNB links will lead you to some great deals on places to stay in Cancun for under $99 CAD/night for 2 people. montreal, yul, flight deals, mexico, delta, cancun, cun, north america and business class.